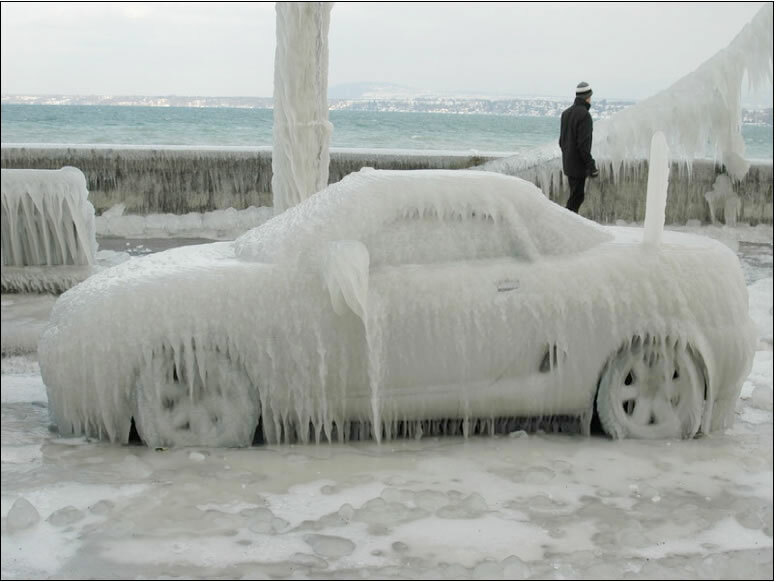 Iced over car at lake Geneva in Versoix, Switzerland . If I woke up one morning and saw my car like this I would just text a picture of it to my boss and say I’m going back to bed!!! How is that guy in the background walking so nonchalant when there is that much ice everywhere??? He must know something I don’t.